In a growing city with very limited parking options and the most modern technology at your fingertips, it is no wonder that there has been a rise in ride sharing services in San Diego. Ride sharing services refers to the network of ride-hailing companies and their independent contractors who use their own private vehicles to provide transportation services to riders using the companies’ smart phone application. The main transportation network companies in San Diego are Uber and Lyft; both companies offer their own smart phone applications which are used to request drivers in advance, pay online, locate riders, connect them with each other, navigate the trip, and rate the service. The concept of a ride sharing service is relatively simple, drivers log on to the application and wait for ride requests to come in as the location services tracks the vehicle’s location to find a rider nearby. When riders log on to the application to request rides, the location service searches for the closest participating ride share vehicle available to pick up that rider. Once the rider provides the pick-up location and destination, the cost for the transportation service is displayed and upon confirming the request, the rider’s card on file gets charged. The problem arises when the private vehicle participating in the ride sharing service is involved in a collision with another vehicle. In most car accidents, the primary issue is to determine liability for the collision. Once a driver is found to be at fault, we can go after their personal liability car insurance to help the victims of the accident recover all of the damages they are entitled to. However, when dealing with ride sharing vehicle accidents, the insurance claims become a lot more complex because the dual use of the ride sharing vehicle makes liability less clear for the victims to recover. On the one hand, the vehicle is private and belongs to the driver who uses it for personal purposes. On the other hand, the driver is an independent contractor for the transportation network company and uses the vehicle for commercial purposes. Thus, there may be more than one insurance company to file a claim with and multiple liability policies for the vehicle responsible for causing the accident. If you have been involved in a car accident with a private vehicle that is used for ride sharing services, it is crucial that you contact an experienced personal injury firm to communicate with the different insurance companies to establish liability and determine coverage on your behalf. At the San Diego Injury Law Office our knowledgeable personal injury attorneys specialize in ride sharing vehicle accidents and are here to provide you with the proper legal guidance that you will need to ensure that you successfully file a personal injury claim against the right insurance company under the policy with most coverage. Do not waste precious time, give our legal experts a call at (619) 343-2992 for a free consultation today! In California, all drivers are required at a minimum to carry personal liability coverage of $5,000 for property damage and $30,000 for bodily injury in the event of an accident. This is the basic insurance policy that arises anytime that a private vehicle is involved in a collision while being driven for personal use. Alternatively, when a private vehicle is being driven as part of a ride share service, California requires the transportation network company to provide its drivers with a commercial liability coverage of at least $30,000 for property damage and $50,000 for bodily injury per accident. The policy also covers uninsured motorists in case the ride sharing vehicle is involved in a collision with driver without insurance. But what happens if you are involved in a collision with a private vehicle that has a decal for a ride-hailing company, which insurance policy can you recover from? In order to answer this question, you must first identify the driver’s specific use of the vehicle at the time of the collision to determine whether the personal insurance policy or commercial insurance policy applies to your claim. If you are involved in an accident with a ride sharing vehicle that was being used for the driver’s personal service, then the only insurance policy available for you to recover from will be the driver’s personal liability insurance. A ride sharing vehicle is considered to be driven for personal use anytime that the driver is not logged on to the transportation network company’s smart phone application or the vehicle is being driven for personal use. For insurance coverage purposes, personal use of a vehicle includes going for a drive, running errands, driving to work, driving home, picking up friends and family members. This means that despite the ride-hailing company’s decal on the vehicle, if the driver is not providing a ride sharing service at the time of the collision, you will not be allowed to go after the transportation network company for compensation for the accident. The transportation network company’s commercial insurance policy does not arise unless the driver was logged on to the company’s smart phone application and the vehicle was being used for commercial services at the time of the collision. A ride sharing vehicle is considered to be driven for commercial use anytime that the driver is logged on to the transportation network company’s smart phone application and is either driving to pick up a confirmed rider or driving to drop off a customer rider. For insurance coverage purposes, the extent of coverage under the transportation networking company’s commercial insurance policy will depend solely on the ride share vehicle’s service status at the time of the collision. For instance, if an accident occurred after the driver logged onto the transportation network company’s smart phone application while the ride share vehicle was standing by to receive a ride request, then the commercial insurance policy will limit coverage only to those losses that are not already covered by the driver’s own personal insurance policy. Whereas, if the accident occurred after the driver had already received the request for a ride and was on the way to pick up the rider or on the way to drop off the rider, then the transportation network company would be responsible for providing full coverage under its commercial policy. However, given the intricate nature of these type of claims, oftentimes insurance companies will try to avoid their responsibility by denying rightful coverage under their policies and transferring liability to each other. For example, the driver’s personal insurance company may wrongly deny your claim arguing that the fact that the driver provides ride sharing services for a transportation network company makes it a business vehicle and therefore ineligible for coverage under the driver’s personal liability policy. Similarly, the transportation network company’s commercial insurance may deny a rightful claim or provide only partial coverage arguing that the ride sharing vehicle’s service status at the time of the collision was insufficient for full coverage to arise. Do not give these insurance companies the opportunity to wrongfully deny your claim, you need to retain a skilled personal injury attorney to determine which insurance company is legally responsible for the claim and hold them accountable. At the San Diego Injury Law Office, you can be certain that our legal experts will launch a complete investigation into the collision to determine the use of the vehicle at the time of the accident. Our ride sharing accident attorneys’ comprehensive understanding of personal and commercial insurance policies and vast experience handling the insurance companies ensures our personal injury clients receive the maximum coverage available for their claims. For a free consultation to assess the specific insurance policies involved in your claim give us a call now at (619) 343-2992, our team of legal experts are standing by. If you are third-party involved in a ride sharing vehicle accident it is important for you to know that depending on the service status of the ride sharing vehicle at the time of the collision, your car insurance policy, the ride share driver’s personal car insurance policy and/or the transportation network company’s commercial insurance policy may cover the negligent operation of a ride sharing vehicle. However, that being said none of the insurance companies will make it easy to receive compensation, instead they will try to shift liability to each other in an effort to drag out your claim. That is why we advise our clients that if only damage to your property resulted from the accident and you are not injured in any way, filing a claim with your own insurance may be the quickest way to repair or replace your vehicle. The downside of filing the claim with your own insurance company is that under your policy you may be required to pay a deductible upfront, in which case you can demand reimbursement when liability is accepted by the opposing insurance company. As unfair at it is, the reality is that victims of ride sharing vehicle accidents have to fight against all of the insurance companies involved for the right to coverage the whole way thru the claim. But you do not have to fight this uphill battle alone, our experienced personal injury firm is here to communicate with all the insurance companies involved in the accident to ensure that you are found not at fault. At the San Diego Injury Law Office, our personal injury attorneys will meet with you to provide a detailed review of the insurance policies and help you prepare your statement of the accident before filing an insurance claim on your behalf. To provide the insurance adjusters with proof of liability, we count on a team of personal investigators who work together to investigate the events that led to the accident by taking pictures of the scene, the vehicles, the injuries, interviewing witnesses, reviewing the accident report and obtaining trip records from the transportation network company. Our skilled negotiators use all of this documentation to prove the ride share driver’s fault and determine the ride sharing vehicle’s service status at the time of the collision to confirm coverage and force the insurance company responsible to accept liability. Once liability has been accepted, we will have you meet with our damages experts to provide an accounting of time for the days that your vehicle was inoperable, the costs incurred for rentals and repairs, the injuries that you suffered, the medical costs that you incurred, the days that you were forced to miss school or work, the loss of wages, and the inconvenience the accident has caused you and your loved ones. Upon reviewing all of this evidence, our experienced negotiators will inform you of the full value of your claim before making a demand for settlement against the insurance company. Throughout the negotiations we will keep you appraised of any offers that we receive but will not settle until all of our demands are met and you are made whole again! The most common victim involved in a ride sharing vehicle accident is the passenger rider. This is perhaps due to the demanding nature of ride sharing services, as independent contractors the drivers have to pay a percentage of each trip’s fare to the transportation network company and are required to be efficient in their routes and provide quality customer service in their trips. This means that in order to make a profit, they have to do multiple trips, often at all hours the day, sometimes driving long distances, always following the smart phone application’s navigation system, and be available on their cell phones to communicate with riders. Unfortunately, this may lead to exhaustion, sleep deprivation, and distracted driving, which exposes passengers of ride sharing vehicles to accidents. The good news is that establishing a personal injury claim in a ride sharing vehicle accident is less difficult for the rider because all of the evidence that you will need to prove liability can be found in the palm of your hands. The transportation network company’s commercial insurance policy always covers the passenger in a ride sharing vehicle, you simply need to prove that you requested the ride via the transportation network company’s smart phone application and that you were a passenger in the middle of a trip when the ride sharing vehicle got into an accident. The best way to verify that you requested the ride will be by checking your text message history because you should have received a notification when the driver arrived at the pick-up location, providing you with the driver’s name, vehicle color, make, model, and license plate number. You will want to get a screen shot of this message to show the date and time that the message was delivered because that will provide a timeframe of when the trip began. Demonstrating that you were a passenger in the middle of a trip when the ride sharing vehicle got into an accident requires you to act immediately following the collision. You will need to log into your account with the transportation network company and take a screenshot of your current ride status. You should be able to see a map showing the pick-up location, drop-off location, current location of the vehicle, and estimated time of arrival at your destination. Our knowledgeable personal injury attorneys will use the evidence that you collected from your phone to confirm that you were a passenger in the ride sharing vehicle at the time of the accident. This finding is crucial to your claim because by proving that the driver of the ride sharing vehicle was engaged in commercial services at the time of the collision, we can go after the transportation network company’s commercial insurance policy to recover the most compensation for your claim. The difficult part of a passenger victim’s claim in a ride sharing accident involves proving the extent of the injury that you suffered as a result of the collision. A lot of times insurance companies wanting to avoid paying big settlements will try to minimize the passenger victim’s injuries or look for alternative independent causes for the injuries. If you were injured in the ride sharing accident or there is even the slightest possibility of an injury, we advise you to seek immediate medical attention following the accident. The longer that you wait to be seen by a doctor, the more time that you will go without getting the necessary treatment and the harder it will be for us to prove the connection between your injuries and the collision. If you do not have health insurance and cannot afford to get a medical check-up, we can help by putting you in contact with medical providers who work with our ride sharing vehicle accident victims, providing medical treatment on a contingent fee basis so that no costs are paid out of pocket by you. Our legal analyst will communicate with your doctor to document all the injuries that you suffered, keep records of your medical visits, diagnosis, treatment, prognosis, and collect all medical bills. Our damages experts will use the medical attention that you receive to determine the extent of your injury. It has been our negotiators’ experience that the more documentation that we can provide regarding your injury, the stronger your claim for recovery becomes. As a passenger in a ride sharing vehicle you have a right to feel safe and to be protected under the transportation network company’s commercial insurance policy when that safety is endangered. At the San Diego Injury Law Office, we are here to protect your rights by making sure that we do everything in our power to hold the insurance companies accountable for their insurance policies! If you are the driver of a ride sharing vehicle and you have been involved in an accident that was not your fault, it is imperative that you seek legal representation because you are the victim most at risk of wrongfully being denied coverage. This is a paradox considering that legally you have triple insurance coverage. First, as the driver of a private ride sharing vehicle not in use at the time of the collision caused by another driver, you are covered by the negligent driver’s personal car insurance policy. Second, if the other driver is an uninsured motorist or has insufficient coverage, you may be covered by your own personal car insurance policy. Third, as the driver of a ride sharing vehicle engaged in commercial services you are covered by the transportation network company’s commercial car insurance policy. The problem is that as the driver of ride sharing vehicle, your damages differ greatly from other victims because an accident could cost you more than an injury and a mode of transportation, you could lose your entire source of income! That is why insurance companies will take advantage of your peculiar situation and try to find loopholes in their policies to avoid liability altogether. 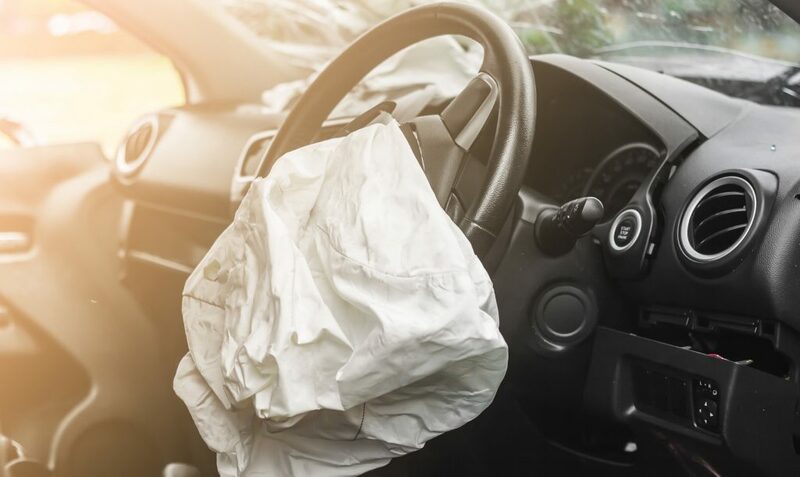 At the San Diego Injury Law Office we understand the complexity of your claim and are here to offer a plan of attack to protect yourself from incurring liability for another driver’s negligence. The first thing we need to do is run a full investigation of the events that led to the collision to determine fault. We begin handling your claim by assigning a personal investigator to visit the scene of the accident to look for skid marks, road conditions, alternative vehicle positions, speak to any potential witnesses and obtain a copy of the police report. With the investigators findings, the police report and witness’ statements we will be able to demonstrate that you were not at fault for the accident. That is why it is so important that you call 911 to report the accident, take down the officer’s badge number, and ask for any contact information of any witnesses present at the time of the collision. Next, we will have our legal analysts collect the necessary documentation to assess insurance coverage liability. If at the time of the accident you were not using your vehicle to provide transportation services, then we will demonstrate liability under a personal insurance policy by pulling up your account with the transportation network company and showing that you were not logged on at the time of the collision. Alternatively, the best evidence to demonstrate liability under a commercial insurance policy in these cases are a passenger rider’s witness statement and the driver’s trip history logs in your account with the transportation network company. This is why we urge our driver victims to obtain the contact information of their passenger riders at the scene of the accident and to immediately take screenshots of the trip history on the transportation network company’s smart phone application. A passenger rider and the trip history logs on your account will show your vehicle’s service status at the time of the collision. If you were on the way to pick up a rider, the application will show that you were online, the date and time that the request for a ride was made, the first name of the rider, the pick-up location, the destination and the amount that was charged for the service. If you were in the middle of a trip at the time of the accident, we could use the smart phone application to show that you were online, the duration of the trip in both time and miles. Once we have successfully established coverage liability, we will proceed to prove up your personal injury claim by documenting the pain and suffering that you incurred. We will have our personal investigators take pictures of the physical damages to your vehicle and the personal injuries that you sustained. Our legal analysts will collect the work repair orders, rental agreements, health records, medical bills, and provide you with a form to fill out for your loss wages. With this detailed accounting of your damages and our attorneys vast experience successfully negotiating ride sharing vehicle accidents, we will make sure that you receive the just compensation that you are entitled to under the law!